Do you feel unsure of your career path or find yourself needing to start a new career due to the hard economic times facing us all? Are you looking to design a professional life that fits around the rest of your life? Are you looking for a Plan B that could become your Plan A? 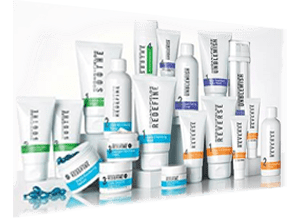 Rodan + Fields® Dermatologists, the creators of Proactiv® Solution, are partnering with independent consultants to revolutionize anti-aging skincare, as well as the direct selling industry. Sarah Robbins, one of the first consultants and a top earner for Rodan + Fields®, is the founder of one of the strongest teams in the company, Team Rockin Robbins. Sarah is a former kindergarten teacher who became a seven-figure earner in just a few years! 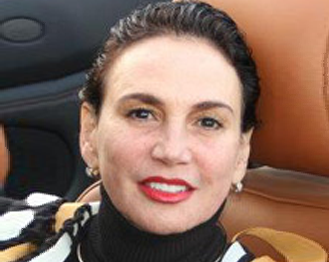 She began earning a six-figure MONTHLY income by the age of 29. Since then, she’s coached thousands to experience the prosperity and freedom she enjoys, and Sarah would love for you to consider joining her winning team! Rodan + Fields® is created by the world-famous creators of Proactiv®—the #1 acne system in the world. Dr. Katie Rodan and Kathy Fields recognized the power of their brand and what they were able to do for acne, so they decided to do the same for aging skin (the largest category of skincare today). So they developed Rodan and Fields® and in 2002, launched the brand into high-end department stores like Nordstrom.Their launch into department stores was very successful and they became a top-selling clinical skincare brand. The company received a tremendous amount of unpaid press during this time. The doctors realized that far more powerful than press was word of mouth referral. It was their clients telling friends! They decided to leverage the social economy and be the first dermatology brand and first successful retail brand to leave retail and successfully enter into direct sales. Today Rodan + Fields is recognized as being one of the “darlings” of direct sales. It is one of the fastest growing companies in its channel. Rodan + Fields® is ranked No. 2 in premium skincare companies in the U.S. and was the fastest growing premium skincare company for the sixth year in a row. Rodan + Fields is also the #1 premium anti-aging brand & #1 premium acne brand to date. Looking forward, our future is shining bright. From our continuing expansion of Rodan + Fields® Canada, our impending Rodan + Fields® Australia launch and exploration of other global markets, including Rodan + Fields® Asia, to the unveiling of new and enhanced e-commerce websites and new products and programs to be launched. The first two Rodan + Fields® consultants, Sarah Robbins and her mother Kris, began to freelance for the company while in retail. Sarah did this alongside her full-time teaching job. They happened to be in the right place at the right time as the doctors began to look for a way they could leverage the brand. In their research, they found the best way to do this in today’s time was through direct sales. So, in an unprecedented move, the doctors moved Rodan + Fields® out from under the glass counter and into direct sales, the first brand to successfully do this. The opportunity was presented to Sarah and her mother to join in direct sales. Sarah started Rodan + Fields® part-time, alongside of her full time teaching career. By the end of that school year, she was able to retire from teaching. Shortly after, she retired her husband, Phil, to work alongside her. Almost three years into the official launch of the company, they now earn a seven figure annual residual income and Sarah is the top earner for Rodan + Fields®. Sarah and Phil were recently named the company’s first Ten Million Dollar Circle Achievers. They are using their earnings to support children in need in the US and abroad. Some of their recent projects include building and opening two orphanages in India. Their greatest joy is helping others find their purpose, and to pursue it through the time and resources their Rodan + Fields business can provide to them. As Sarah’s first RFX Circle Leader, we have worked very closely together over the past few years. Sarah is very skilled in creating training materials, launching new leaders and markets. With her support, I was able to launch the Nashville market with my team, and today it has become one of Rodan + Fields® top markets. Sarah and I have formed one of the most powerful Rodan and Fields® partnerships, and are building teams nationwide! As one of the first to join Sarah’s team over three years ago, I have had a unique opportunity to reap the benefits of Sarah’s commitment to creating the tools and training we need to be the best we can be in our Rodan + Fields® businesses. Over time, she created a culture of abundance that has transcended throughout her entire organization that has been responsible for extraordinary growth nationwide. There is no question that as my personal mentor, Sarah is one of the most influential people in my life. As a former million dollar earner in another network marketing company, I knew the importance of choosing a leader who I could partner with to create a significant success story with Rodan + Fields®. I chose to partner with Sarah Robbins because of her commitment to providing excellent training, and a collaborative culture in her organization. She truly is skilled in leading people to the top! 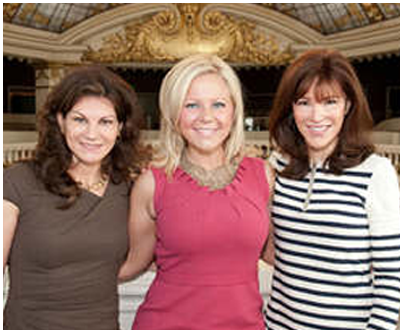 I am proud to partner with Sarah Robbins. New to Rockin Robbins? Get everything you need to START STRONG in your first week in the Rodan + Fields’® family. Find out about upcoming calls and rockstar tour dates for consultants and guests. You’re going to get strategies and techniques directly from the experts! Access complimentary downloadable resources and marketing videos to help you grow your Rodan + Fields® business. Browse questions frequently asked by Rodan + Fields® independent consultants, answered directly by Sarah Robbins!